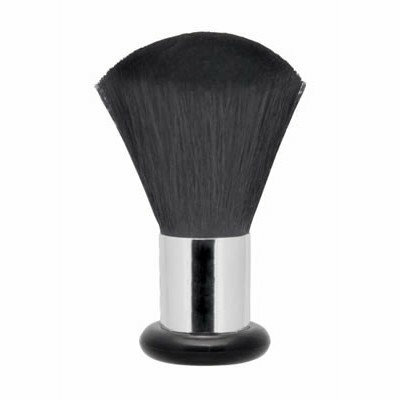 For the stylist on the go, this Fromm / Diane Mini Neck Duster is just what you need. This black and silver mini duster features a standard stand-up base and is excellent for brushing away loose hair. The compact and comfortable design make this an essential tool for barbers and stylists.